I’d been commuting by bike for 6 months, I’d just bought a second bike, a road bike and was enjoying the longer rides I’d started doing on the weekends, to train for my first sportive, London to Oxford. 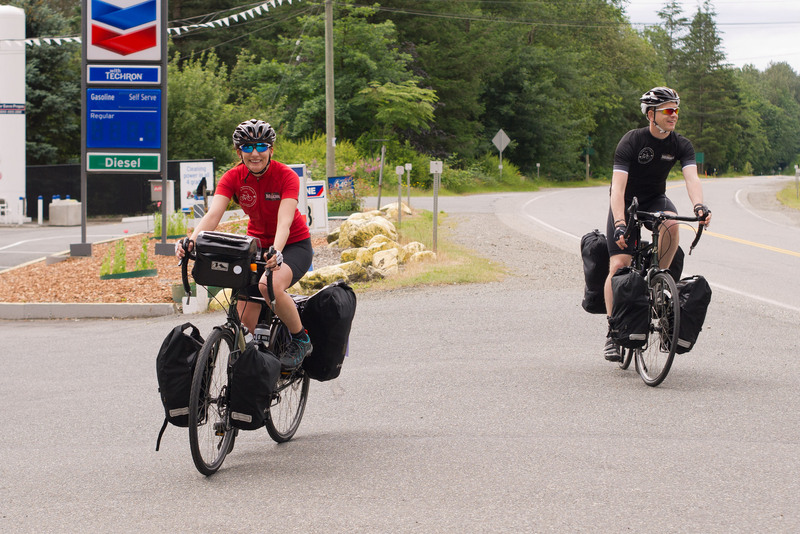 Then a question, a question from nowhere, popped into my mind; I wonder how long it would take to cycle across Canada? 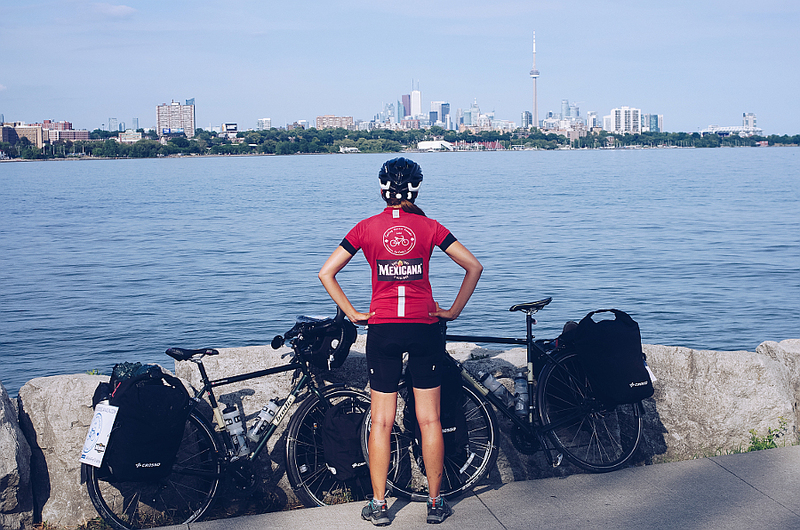 So how does one go from commuting by bike to touring across continents? It’s really just 3 easy steps. I’m Canadian, and I’ve driven across Canada. I did the math and it could be cycled in a summer. 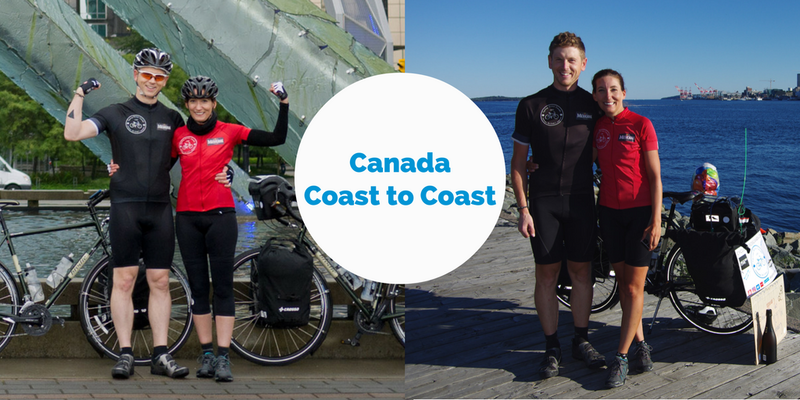 I googled cycle across Canada and came across a bunch of blogs. I started reading. I became captivated with the idea. If these seemingly normal people could do it why couldn’t I? Two weeks later I proposed the idea to Nathan, he thought I was joking. A couple weeks of my going on about the idea he realised I was serious and agreed he would be up for it, not wanting to get left behind. That was July. By Christmas we had the time booked off work, plane tickets, touring bikes, had chosen what camping gear we need and had a long shopping list. The start date was set, June 11th a year from when the question popped into my head. We’d average about 100km a day with 1 rest day a week and I’d added a week buffer in case something delayed us along the way. We had a huge map of Canada on our living room wall along with all the todos on post-it notes. Our living room was command central. The enormity of what we were about to do staring us in the face every day. Once I realised we’d be camping (the budget and the distances between some places determined this) I researched camping gear. I’m a “cold” sleeper and I don’t function well without a good nights sleep. Getting the best gear we could afford was a high priority. I read loads of reviews and blogs and learned so much from others who’d done it already. As well we had to choose bikes, panniers and clothes! Again back on the internet for more research. I looked at the many packing lists people put up on their blogs to make sure I’d have everything I’d need but not too much, having read about many who part way through the mountain ranges of BC started purging stuff to lighten their loads. This one is pretty obvious. Get your body ready to sit in a saddle and cycle every day. Get used to cycling on tired legs. Make sure that saddle is the ONE and get out on an overnighter and test your gear. Some cycle tourers we met use the first few weeks of their tour as training, building up distances as they go. Because day 3 out of Vancouver is the biggest climbing day of the ride I wanted to be ready and in shape at the start. I also figured the better shape I was in the more I’d enjoy the experience. Was I nervous, yes! Mostly about camping I’d never camped in a tent before and certainly not in bear country. Then there were the mountains, the hills of Surrey still scared me! But that nervousness is all part of the fun, it makes you feel alive and it’s the thing that keeps you motivated during the preparations and if it doesn’t scare you at least a little it isn’t really a challenge.